World War I: The Definitive Visual History (DK Publishing, 2018) offers the immersive experience I count on from these extraordinary Smithsonian partnerships, a can’t-put-down account of the people, politics and technologies that framed the Great War and re-shaped the world. On June 28, 1914 the heir to the Austro-Hungarian throne, Archduke Franz Ferdinand and his wife Sophie, were shot to death by a Bosnian Serb in Sarajevo triggering a chain of events that would lead to the outbreak of war on July 28, 1914. Most people expected the war to be over by Christmas; the Armistice was signed on November 11, 1918. Almost 10 million military personnel died, including 65,000 Canadians. Countless survivors arrived home maimed physically and psychologically. We don’t know how many civilians died, although estimates suggest 6 million, and wartime conditions helped spread the Spanish flu, which killed between 50 and 100 million people worldwide. With graphic images, often heart-breaking photography, powerful personal stories, sidebars, quotes and timeline calendars, World War 1: The Definitive Visual History takes you from a troubled pre-war Europe dominated by imperial states to the post-war conflicts that changed the course of history. Key events are explained in the wider global context, profiles of generals and political leaders reveal the roles they played for better and for worse, and colour photos showcase the weapons, inventions, and new technologies that defined the war. 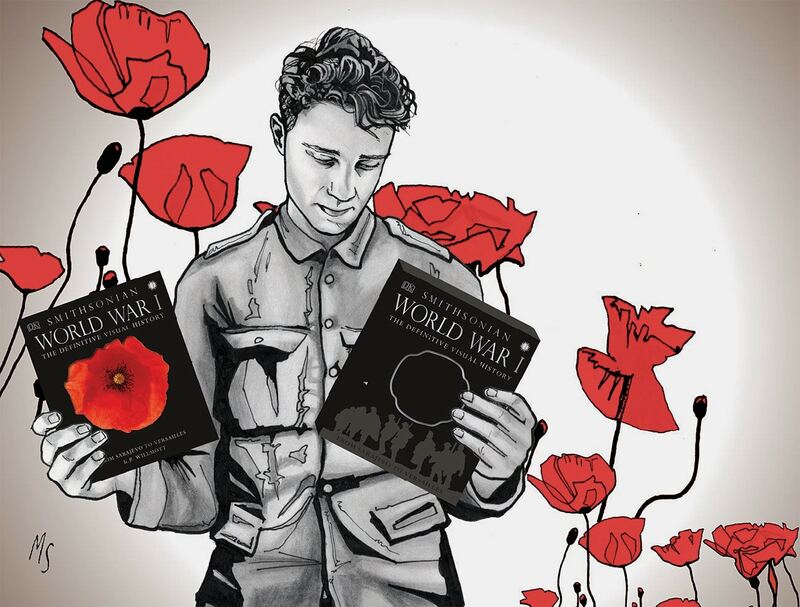 Available exclusively at Indigo in a handsome slipcased keepsake edition, World War I: The Definitive Visual History is a chronicle of power and politics, courage and cowardice, that still resonates perhaps, in part, because of our current geopolitical climate. And you don’t have to be history buff to find it compelling. Looking to add some sparkle to your holiday spirit? 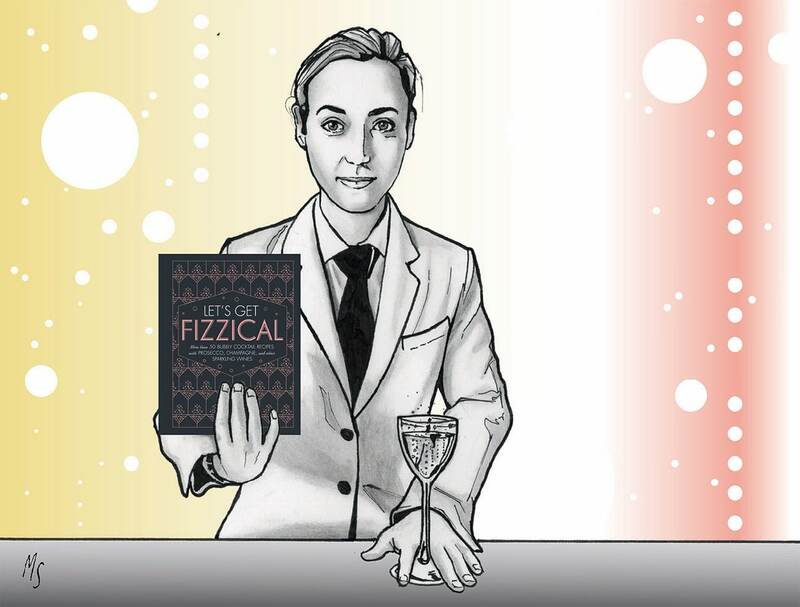 Let’s Get Fizzical (DK Publishing, 2018) is your go-to guide for making more than 50 bubbly cocktails that celebrate the season with style. Pippa Guy, Fizzical’s author, knows her way around cocktails – she’s the first female senior bartender to be appointed to The Savoy’s world-renowned American Bar in over 100 years. Guy opens Let’s Get Fizzical with bubbles 101, explaining the difference between Champagne (has to be made exclusively in the Champagne region of France and the method and grapes have to follow regulations), Prosecco (you know all about that little bubbly beverage, right? ), Cava (it gets its name from the caves in Spain used to store the bottles as they age), sparkling wines and new for me, Lambrusco, a well-priced Italian sparkling wine that ranges in colour from pale purple to deep red, from semi-sweet to dry. Tip: To open, put your hand over the cork and twist the bottle – not the cork – to release. The next section serves up the deets on what glass to use for what cocktail, how to garnish and with what, essential bar tools and equipment, and how to make syrups, purees and infusions. Tip: If the cocktail calls for a straw put that pack of plastic ones back in the bin at Dollarama and think paper, bamboo or reusable metal. Now, ready to go, Let’s Get Fizzical gives you the recipes for irresistible cocktails from classics like the Champagne Cocktail (it debuted in 1862) to reimagined favourites like the Lemongrass Mule – this nod to the Moscow Mule is not, says Guy, for the faint hearted. My fave for a holiday dress up: Twinkle. Vodka in the bottom of your flute topped with elderflower liquor and then Champagne – it looks as spectacular as it tastes! OK, if you’re serving supreme cocktails, you need equally awesome go-withs. 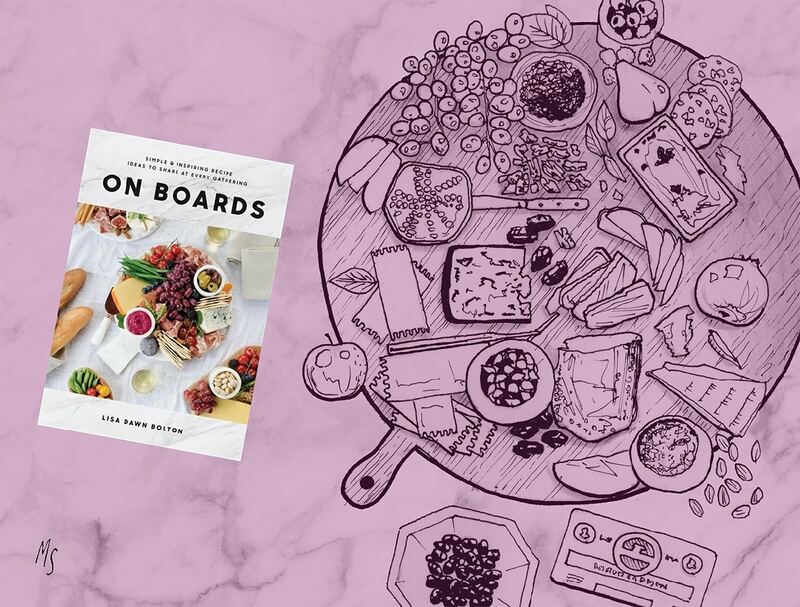 In On Boards: Simple & Inspiring Recipe Ideas to Share at Every Gathering, food stylist Lisa Dawn Bolton offers 50 ideas plus 52 recipes for a curated collection of party-perfect boards you can create with zero fuss. Seriously. On Boards is not a traditional recipe book. Bolton opens with a Board backstory including the kinds of boards (if you choose slate and marble make sure they’re food safe) and how to clean them, and best tools (you don’t really need a charcuterie knife; a plain old sharp cheese knife will do nicely). Then Bolton shows you how create 50 different kinds of boards – a stunning image on the left and an ingredient list and assembly how-to on the right. It’s monkey see monkey do simple, and she’s a food stylist, remember, so her presentation and styling tips will make your boards way Instagram worthy. But Bolton doesn’t stop there. Her 52 recipes for savoury and sweet additions go beyond store-bought hummus (but just as easy) – how ‘bout Mashed Potato and Beer Pretzel dips, jams like Tomato Bourbon Bacon, or Golden Bacon Popcorn and Chocolate Dipped Potato Chips. And just in case you think a board is a starter or simple shared plate kinda thing, Bolton invites you to consider serving a dessert board with chocolate pudding, Brie, Stilton, thin salty crackers, some berries, maybe chocolate wafers . . . who knew? OK, the party’s over, you’ve tidied up, your head hurts and all you want to do is kick back on the couch with a good book. Nine Perfect Strangers by Liane Moriarty, the New York Times best selling author of Big Little Lies, is just the ticket. Nine people arrive at Tranquillum House, a small, exclusive (read: stupid expensive) retreat for a 10-day total mind and body transformation On the agenda: massage, yoga, mindfulness, mediation, silent days, don’t look anyone in the eyes days, smoothies and not much else to eat. Oh. And no alcohol. Middle aged Frances Welty, a best-selling romance writer on the skids, career wise, has just come out of an online “relationship” that took her for a bunch of money. Over lunch and too many white peach Bellinis, her friend Ellen convinces Frances that she needs to heal and that Tranquillum is the sort of life changing place to do just that. Committed to changing the lives of Frances and the eight other guests: the resort’s charismatic director Maria Dmitrichenko, known as Masha, and her right hand man, Yao. What happens over the course of the program does, indeed, change the lives of everyone, including Masha and Yao, but not in the ways any of them expected. 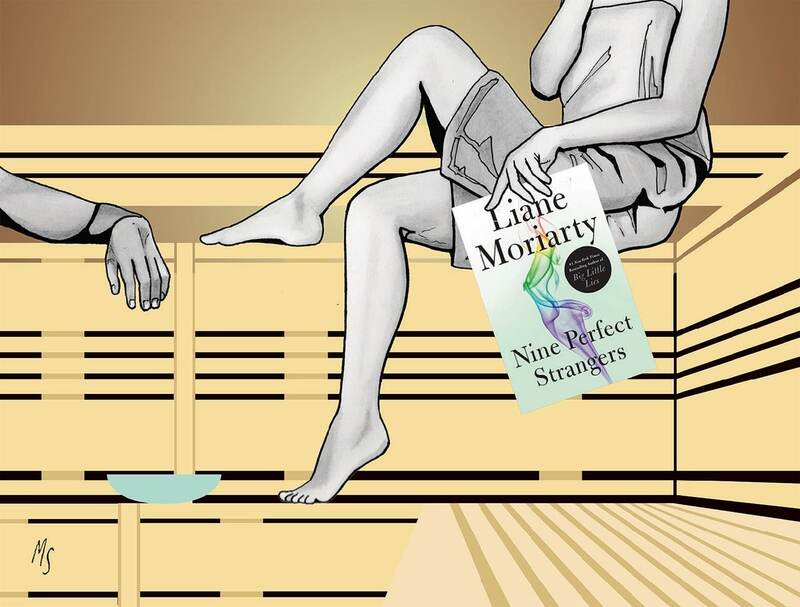 Nine Perfect Strangers is the perfect after party read: wickedly smart, it’s a well- crafted mash up that takes delicious aim at privilege and pop culture but never at the expense of its all-too-human characters. Roxanne Veletzos’ debut novel, The Girl They Left Behind, tells her Romanian mother’s remarkable story of surviving World War II and the Communist aftermath, filling in the gaps she doesn’t know with an alternative narrative. It’s a freezing night in Bucharest, January, 1941. The streets are filled with shouting, shrieking, and the thumping of boots as thousands of Jews are dragged from their homes to be tortured and killed. Like her mom, Veletzos’ main character, a three-year-old Jewish girl, has been left on the steps of an apartment building by her desperate parents who pray someone will take her in; once the Pogrom is over they will come back for her and try to escape Romania together. The parents don’t return and the little girl is placed in an orphanage. She’s eventually adopted by a wealthy Christian couple who name her Natalia. The war hasn’t arrived in Romania, and Natalia and her doting parents Anton and Despina live the safe, cultured and privileged life of Romania’s upper class. Natalia assimilates and all but forgets her parents and her before life. The war finally does come to Romania; the city had allied itself with Hitler and is bombed by the allies, then switches sides and is bombed by the Germans, and at the end comes under Soviet control – and life is no longer the same. Through a series of chance meetings, and unlikely happenstances, Natalia arrives in New York, is reunited with her birth parents and starts her third act. 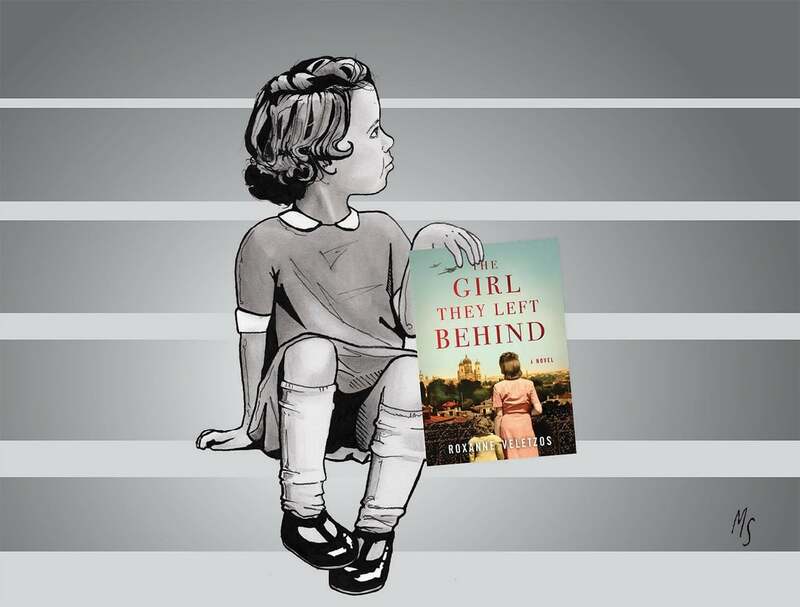 The Girl They Left Behind is historical fiction. Veletzos’ mom was, indeed, left on a doorstep, adopted by wealthy Christians, and lived a privileged life until the Soviets took over. And she did come to America although not in as dramatic a fashion as Natalia did. But she never discovered what happened to her birth parents. The Girl They Left Behind is this genre at its best: a powerful story of love, loss and the triumph of the human spirit told against the backdrop of Romania’s complicated and turbulent history. I could not put it down.